Fashion is not only for people; Phones do have their fashion also. Too lucky I am to received an email from Kristyl the sole owner of Thrifty.Thread. It was indeed a surprised for me; our conversation and business talk about collaboration ends well. 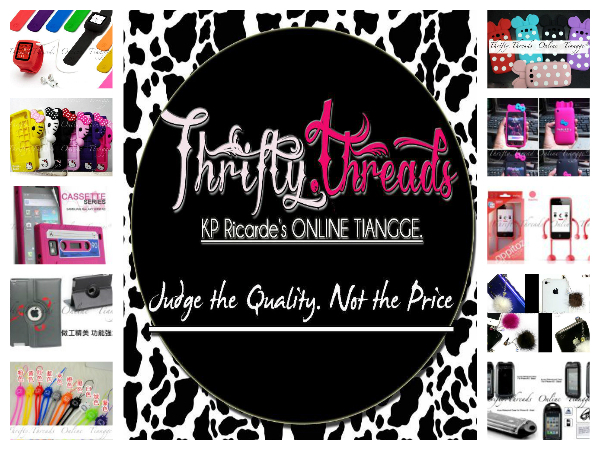 THRIFTY.THREADS KP Ricarde's Online Tiangge is an Online shop that sells items that are in very good condition at a very low price. 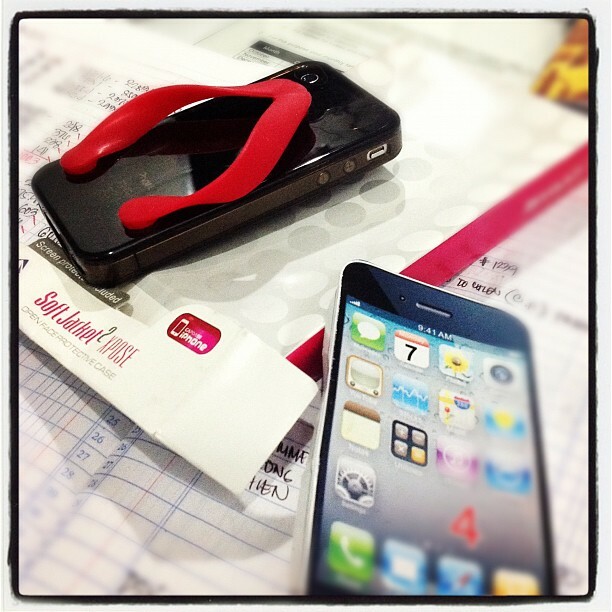 Do the shopping and leave all the doings to the like what they're tagline telling us. " JUDGE THE QUALITY, NOT THE PRICE"
SHOP FOR THAT HOT DESIGNER CASE. Be trendy with the latest cell phone accessory styles, and shop for Discount cell phone accessories. Make your phone fun with sparkly, dangly, funky and cute cell phone cases that fits your IPHONE3G/3GS, IPHONE4G/4S, IPOD TOUCH,BLACKBERRY AND SAMSUNG MOBILE Phones. To know more about them, pls do visit their pages. All items are unique, stylish which you won’t be able to find anywhere else. Each style is in limited quantity, so get whatever you like before they are gone. 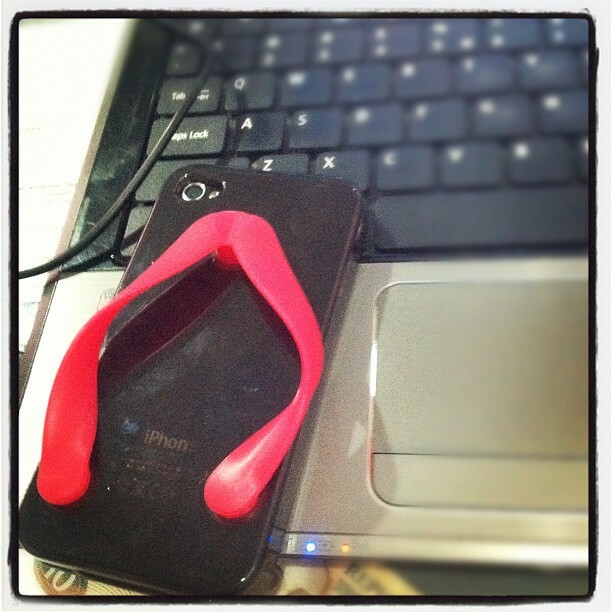 The design that Thrifty.thread sent to me is the “SLIPPERS PLASTIC CASE FOR IPHONE 4/4S” design which to my surprise, drew lots of comments on my friend's post, mainly from just our common friends as well. They all seemed to really like the design and I’d have to agree with them. It’s very eye catching and definitely makes a statement. Though it's simple yet captured the attention of others. Before I get too much into the design though, let me first talk about the case itself. The SLIPPERS PLASTIC CASE FOR IPHONE 4/4S from Thrifty.Thread are now available in 3D version. 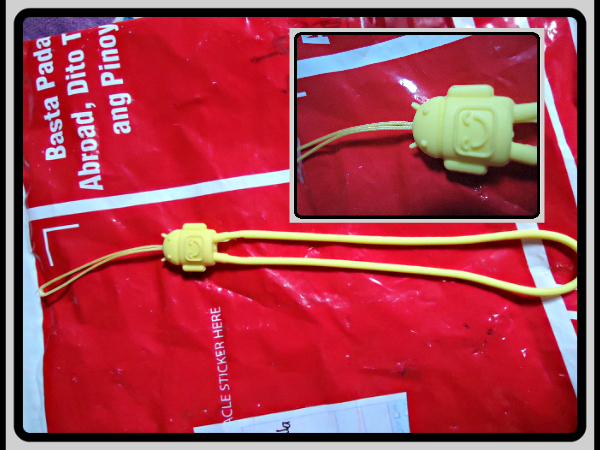 As seen above not only the iPhone case Thrifty.Thread sent to me but with strap also; the Android Silicon hand strap. Android silicon strap is now available in 10 colors. Not only these items are available at Thrifty.Threads KP Ricarde's Online Tiangge online store; there are more! Check out their store on Fb for more items and I'm pretty sure you will like it.